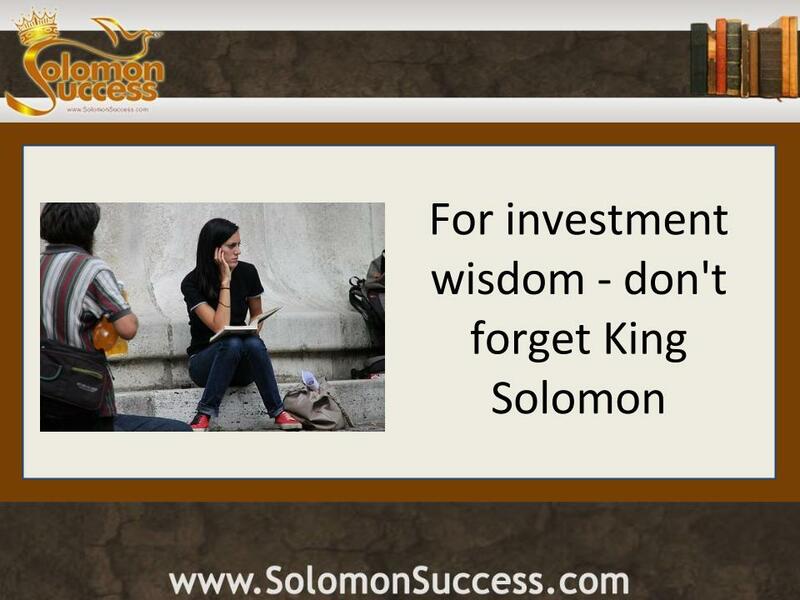 Wisdom can help you build wealth, and if it comes from King Solomon, it is going to be even better. It cannot be denied that King Solomon was one of God’s favorites and one of the richest men of all time. Furthermore, smart investors know how to make their money grow and how to grow wealth. It takes a sharpening of your talent and skills to get more money, which is exactly what King Solomon did. 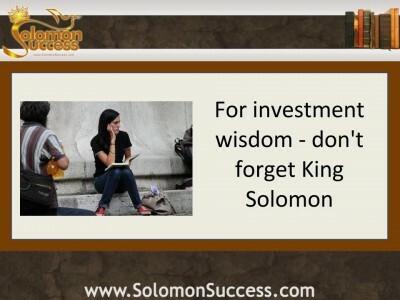 So, if you are at a loss how to build wealth, start by considering King Solomon’s principles more seriously. Solomon here talks about the exigency of hard work if you want to succeed and obtain profit. Here profit signifies prosperity, ascendancy and control. There are many who simply talk rather than taking action. So, you need to take action and repeated ones in order to see fruitful results. Absolute treasure is in respect and fear of the Lord. Nothing is as great as the Lord for, if you respect and fear God, you will have peace of mind. A rich man may live the life of a beggar if he cannot have peace of mind. This principle is based on the idea that assets act as the catalyst in our lives. Just as it is important to have oxen in order to plough the field, you need assets to grow wealth. However, don’t forget you will have to work in order to make the money grow. Even if you “sow a seed” you would not see results if you are sinner. God isn’t going to bestow blessings on you in the presence of sin. Therefore, you will have to lead a life free of sins and only then may you see abundance and growth of your wealth. A passage from the Lord’s prayer goes like this – “… let your will be done on earth as it is in heaven”. God wants a kingdom on earth which is going to be the mirror image of the kingdom in heaven. The main point is if you strive to be righteous you are going to be wealthy both in the actual financial sense and symbolically too. * Adrian Collins has written several articles for various financial sites. He has expertise in debt related matters and has made contributions through various articles.